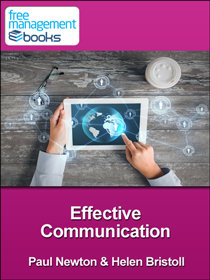 This free eBook explains the basic principles of communication so that you can create an open and honest communications environment in any situation. Each person's communication style is a unique combination of their own innate skills and those learned both formally and through experience. What makes some people better than others at communicating is their ability to adapt their style to suit the message, environment, and exchange. You will learn how to: determine your own preferred communication style, use this information to develop and enhance your communication skills, identify and respond appropriately to other people's emotions, apply the six components of the RESULT communications principle, and overcome the most common barriers to successful communication. "Overall, I can highly recommend this book on effective communication as a building block for your professional skill set. 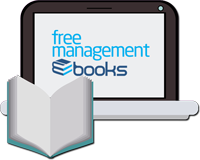 In fact, I feel like the points within this book will even help me communicate more effectively in my personal life as well." This communication skills book is available for download in PDF, Kindle and ePub format. Active listening is a straightforward technique that you can use to improve your communication skills. It involves listening for meaning, in a neutral and non-judgmental way. Active listening will reduce the chance of misunderstandings, help to solve problems, and allow you to take advantage of opportunities you may have previously missed. In this eBook you will learn: why it is so important to actively listen, the six aspects of listener orientation you should adopt, how to use reflection and clarification in the context of active listening, how to overcome the internal barriers to effective active listening, and how to integrate different types of questioning into active listening. 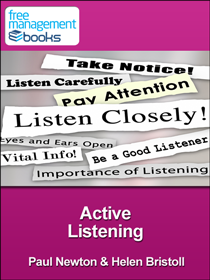 "I would be happy to recommend this guide on active listening because it contains a nice collection of solid advice on the topic without getting too dry or technical. It is long enough to give you some great takeaways that you can put into your everyday work life, but short enough to read in one sitting." This communication skills book is available for download in PDF format. Conference calls play a major role in an organization's communications, both internal and external. Discussions via conference calls enable collective decisions to be made in real time regardless of the country that each individual decision maker is in. You need to encourage proper use of this 'tool' so that it improves productivity and does not become just another type of unstructured and unproductive meeting. In this eBook you will learn: why conference calls present problems that normal telephone calls do not, what advance planning you can undertake to get the most out of each call, why published guidelines can dramatically improve everyone's experience of conference calls, why each call needs a simple agenda and what information it should contain, and the advantages of having a named facilitator with clearly defined responsibilities. When are conference calls used? What are the technical issues affecting conference calls? What are the human factor issues affecting conference calls? How conference calls can affect your productivity? 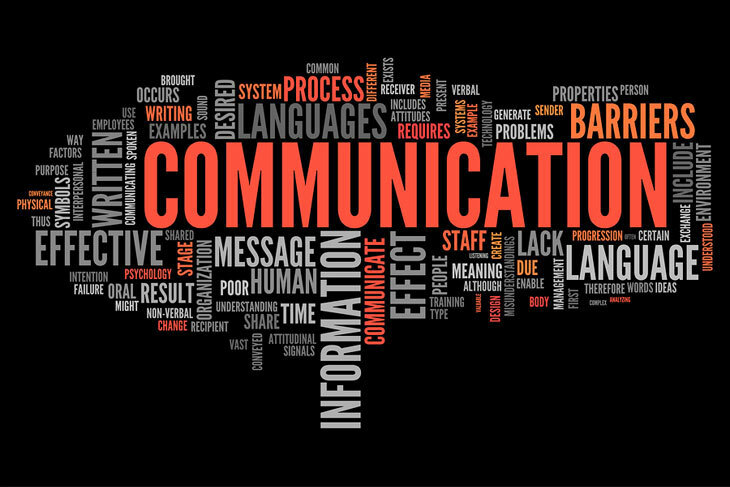 Why you may need to adapt your communication style? Why conference calls benefit from advance planning? How should conference calls be facilitated? What is conference call etiquette? 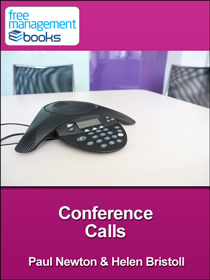 "I really like the way that this book covers every aspect of a conference call. 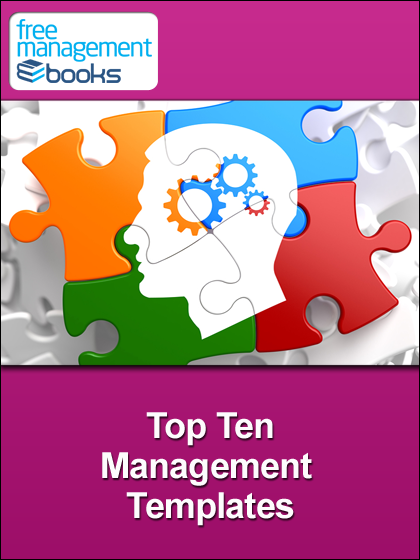 I have recommended it before and will continue to refer people to this book in the future."